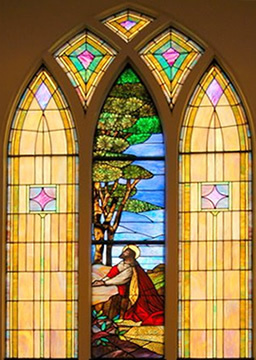 Presbyterians trace our heritage to the Protestant Reformation in the 16th century. The key person in the birth of the Presbyterian Church and its breakoff from the Roman Catholic church was John Calvin (1509-1564), a French Reformer exiled to Switzerland. Presbyterians were among the earliest settlers of the United States and largely came from Scotland where the Church of Scotland is Presbyterian. First Presbyterian Church is a member of the Presbytery of Charlotte (www.presbyofcharlotte.org). We are saved by God’s grace in Jesus Christ. We are governed by elders in a representative form of government. We are a confessional church seeking to say what the Bible is speaking in our day and time. We share the Good News of God’s love in Jesus Christ in Word and Deed.